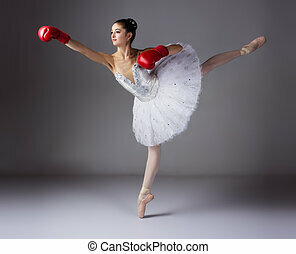 Female ballet dancer. 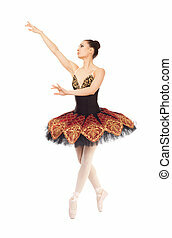 Beautiful young female classical ballet dancer on pointe shoes wearing a black leotard and skirt on a neutral grey studio background. 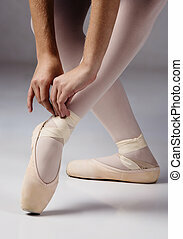 Female ballet dancer tying the ribbons of her pointe shoes. 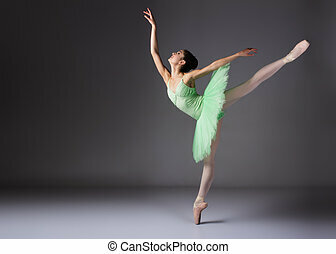 Beautiful female ballet dancer on a grey background. 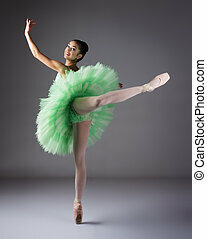 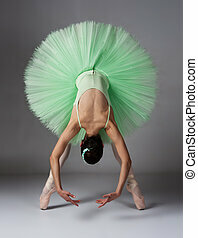 Ballerina is wearing a green tutu and pointe shoes. 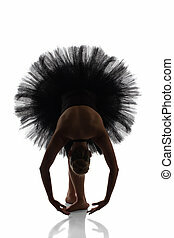 Portrait of a beautiful female ballet dancer on a grey background. 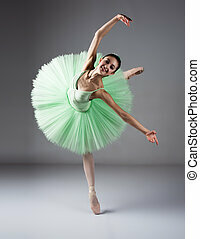 Ballerina is wearing a green tutu. 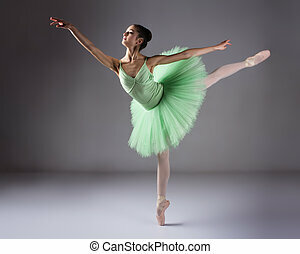 Beautiful female ballet dancer on a grey background. 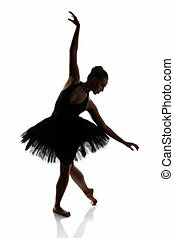 Ballerina is wearing a black leotard and blue tutu. 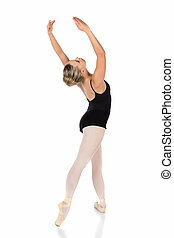 Beautiful female ballet dancer on a grey background. 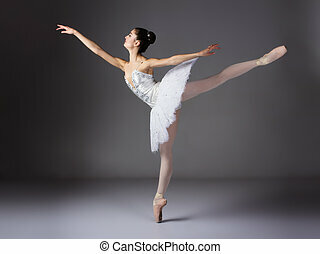 Ballerina is wearing a white tutu and pointe shoes.